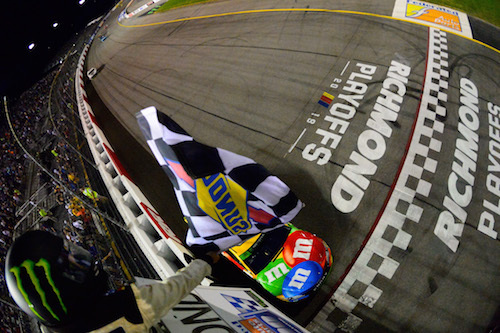 NASCAR issued two fines for loose or missing lug nuts, one each in the Monster Energy NASCAR Cup Series and NASCAR Xfinity Series, after the race weekend at Richmond (Va.) Raceway that culminated in the Sept. 22 running of the Federated Auto Parts 400 for the Cup Series. Adam Stevens, crew chief on the No. 18 Joe Gibbs Racing team of Kyle Busch in the Cup Series, was fined $10,000. In the Xfinity Series, Jason Ratcliff, crew chief on the No. 20 JGR team of Christopher Bell, was fined $5,000. Busch and Bell each won his respective race. NASCAR also announced the indefinite suspension of Gregory Katzke Jr. for a behavioral issue. Katzke was listed as an interior mechanic on the No. 88 Hendrick Motorsports team of Alex Bowman in the Cup Series on a team roster from February. The specifics of the issue that resulted in his suspension was not detailed on NASCAR’s weekly penalty report, issued Wednesday morning.